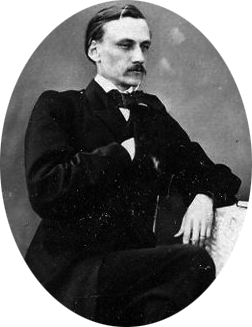 The Swedish engineer Axel Jacob Petersson (see biography of Axel Jacob Petersson), was a universal inventor and is famous with several books and articles, and the construction of railways and viaducts, including the famous railway bridge Järnvägsbron i Minnesund (launched in 1879 and still in use! ), steam engines, a rotating camera for photography, military equipment like a bajonett and a repeating rifle (Krag–Petersson rifle) and other devices, between them two very interesting calculating machines. 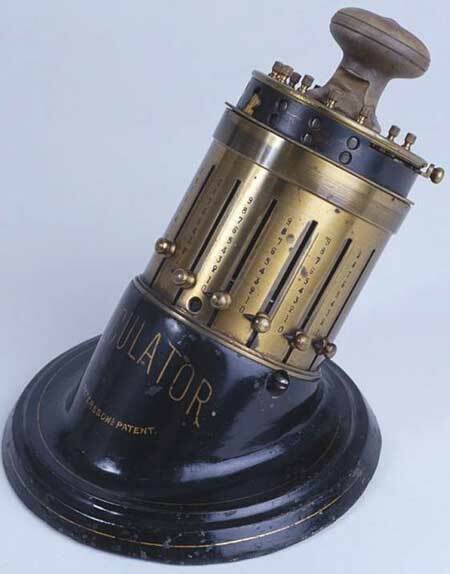 First of the machines (called Calculator) was presented in 1873 at the Weltausstellung 1873 Wien (World Exposition 1873 Vienna), while the second was presented in 1876 at the 1876 USA Centennial Exposition in Philadelphia. In several sources is mentioned also a pin-wheel calculating machine, presented in 1866 by one C. Petersson at the Stockholmsutställningen 1866 (Stockholm Art and Industrial Exhibition), but nothing is known about this device, and if it was made by Axel Petersson. It is unknown how many machines had been manufactured by Petersson, but to the present time survived four of the machines, three in Norwegian museums, and one—in the Tekniska museet, Stockholm (see the lower photo). The construction of the machine is based on the stepped drum of Leibniz, mounted in the center of the machine, which can be rotated by a crank. The box is of cylindrical form with diameter 9.5 cm and height 20 cm and is made of cast iron, copper alloy (brass, copper and bronze), and wood. The weight is 6.6 kg. The input mechanism consisted of sliders (5 or 6 in different variants), the output mechanism consisted of dials (12 or 14 in different variants). In the variant with 14 dials the tens carry is self-contained and allows "endless" calculation. The mechanism was unidirectional and subtraction was done by using complement to 10. The machine has also a revolution counter, which is necessary to be used during the multiplication and division. The whole mechanism of Petersson's Calculator seems to be simple, but very reliable and easy for manufacturing, and as a whole, it is clear that Axel Jacob Peterson was a remarkable constructor.